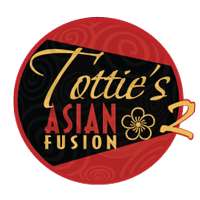 Totties Asian Fusion 2 – A defining destination for authentic Asian fare. A defining destination for authentic Asian fare. Tottie’s Asian Fusion brings together the best of Thai, Vietnamese and Chinese cuisines. A defining destination for authentic Asian fare – Tottie’s Asian Fusion brings together the best of Thai, Vietnamese and Chinese cuisines. Chef and owner, Lisa, breathe a fresh new appeal into the definition of “fusion”; here it means patrons can experience the signature dishes of each of these three dynamic cuisines under one roof and all at approachable prices.